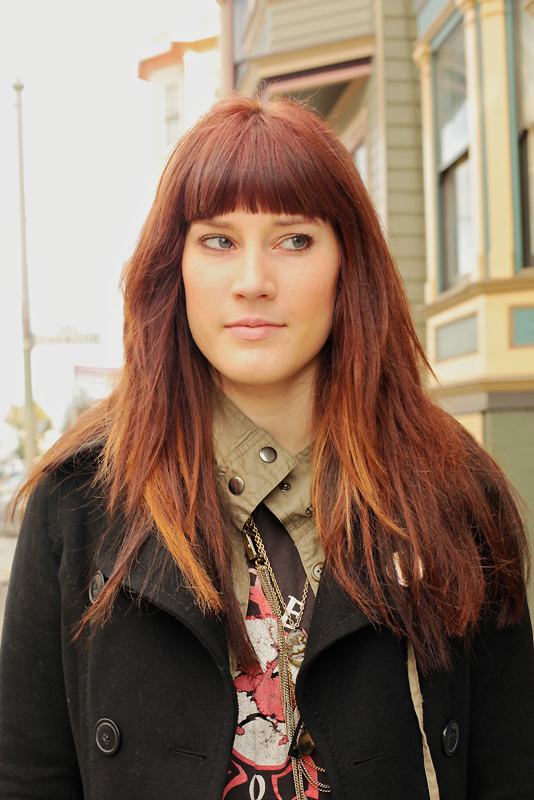 "Vintage inspired and San Francisco. Grew up in San Diego so had that little street scene going on and then moved up here and kinda grows from that." If there is any doubt the best of the 90s are coming back in... Oh yes, do you remember wearing short tube skirts with combat boots too? 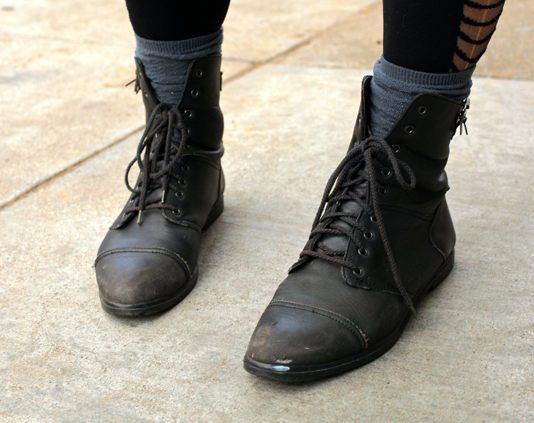 Ankle boots as a stand-in for the combat boot silhouette. This was what I aspired to in the late 80's, but she is far more fabulous! i LOVE those boots, where can you find some like those?